Scientists announced on Tuesday (Feb. 21) that exoplanets circling the star TRAPPIST-1 have been discovered in the star’s habitable zone. 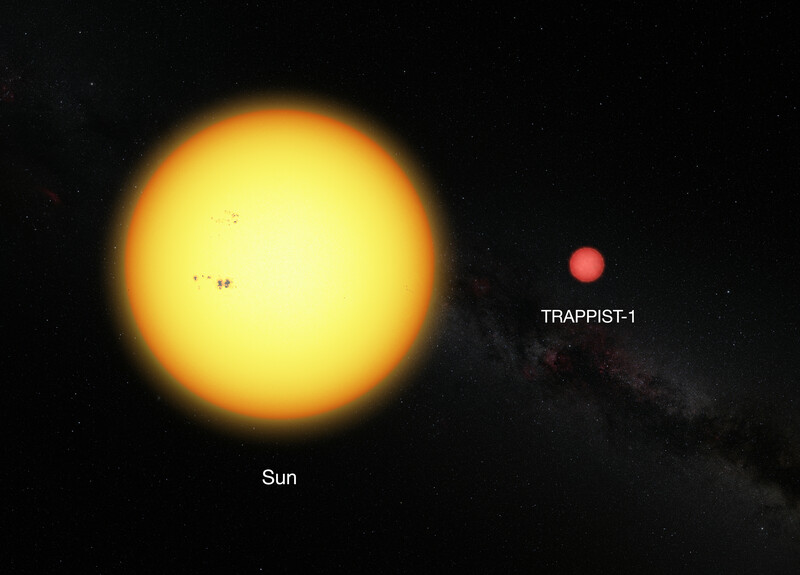 This star lies just 12 parsecs away–or, 39 light-years. Even though TRAPPIST-1 is a tiny, dim star–only slightly larger than Jupiter–it is still capable of sustaining life to its planets. It all began when scientists spotted regular dimming events on the star, which the team at University of Liège in Belgium interpreted as evidence of three different planets crossing the star’s face. But after further study they discovered that not only the three suspected planets were in fact there, but there were also four others…and all Earth-sized. The smallest of these worlds is about 75 percent as massive as Earth, while the largest is just 10 percent the mass of our planet. “This is the first time that so many planets of this kind are found around the same star,”said Michaël Gillon, lead investigator at the University of Liège. 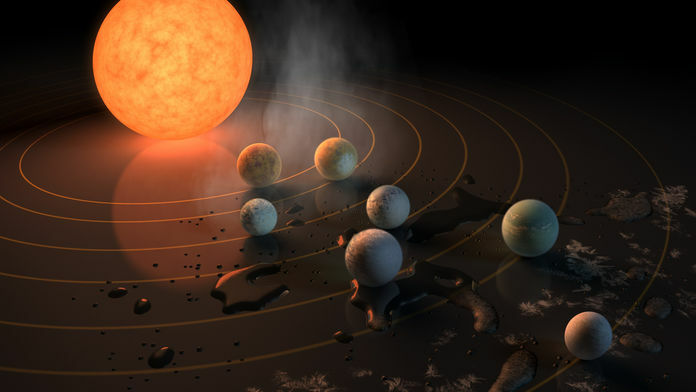 All seven worlds occupy tight orbits, lying closer to TRAPPIST-1 than Mercury does to the sun. The orbital periods of the six innermost planets range from 1.5 days to 12.4 days. The outermost planet, TRAPPIST-1h, orbits the star every 20 days. 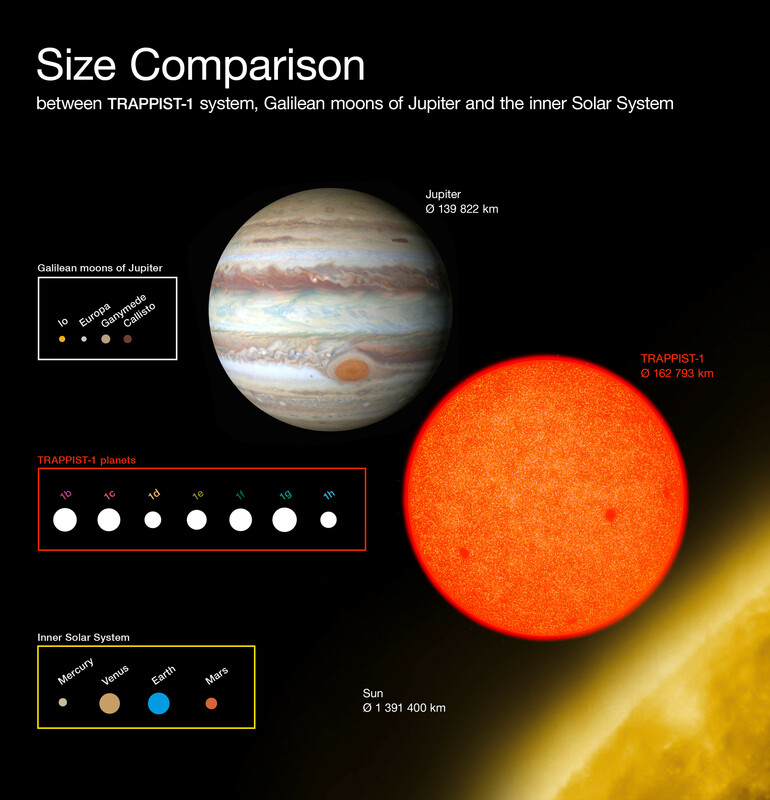 It’s believed that since these planets are so close to their star they are tidally locked, much like how our moon is tidally locked to Earth–why we only see one side of it. Though more data is needed, recent modeling shows that three of the worlds reside in the habitable zone; however, all seven could still support water. Astronomers have discovered other seven-planet systems before, but never anything like this. Before we get too excited, a few things should be noted. 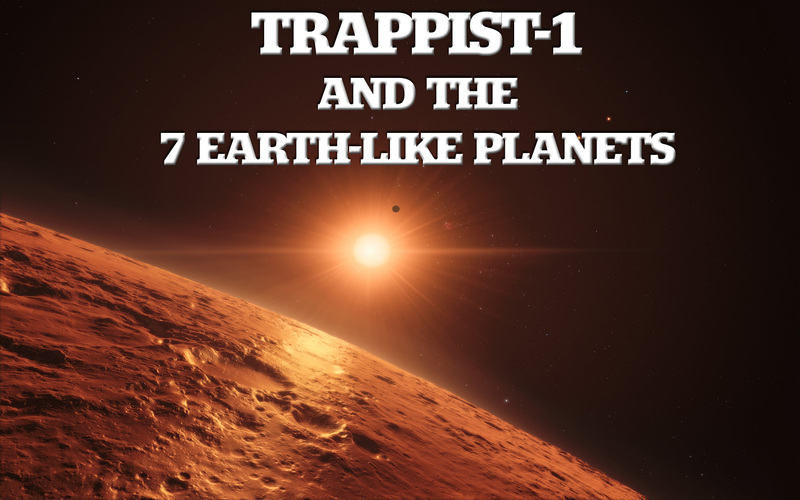 TRAPPIST-1 emits about the same amount of X-ray and ultraviolet radiation as the Sun does, which could chew away at any protective atmospheres the planets might have. In addition, the fact that these planets may be tidally locked to their star poses a much more challenging scenario for life to thrive. Other researchers are already using the Hubble Space Telescope to hunt for atmospheres on the TRAPPIST-1 planets. Kepler is also observing the system and will gather data that can better pin down the planetary masses, says Courtney Dressing, an astronomer at the California Institute of Technology in Pasadena. And the TRAPPIST team is building four new 1-metre-diameter telescopes in Chile to continue the work.